This beautiful set up is ready for your trailer! Enjoy the Everglades Resort, with this undivided property, situated across from one of the resort's waterfront parks on Hatzic Lake! Bring your RV to keep as your summer home. A newer raised deck and open kitchen area are on your lot to enjoy. A beautiful newer shed has been built with a 3 piece bathroom and laundry hook-up! 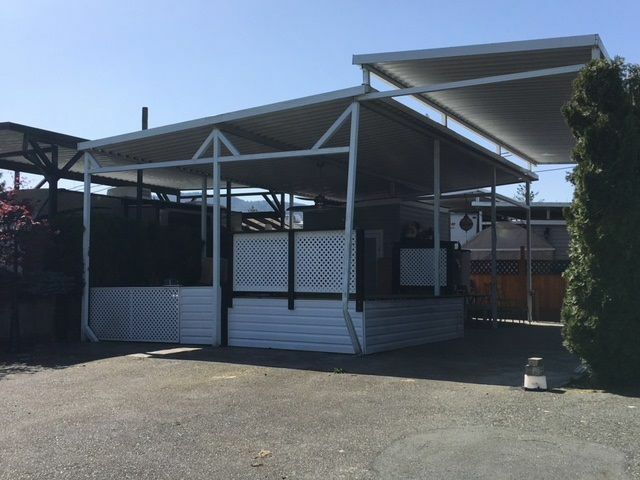 The entire lot is covered with a newer roof awning, to enjoy dry use all year round! The lake is popular for swimming, fishing, sailboarding, water-skiing, tubing and kayaking! Great for all your water sports!